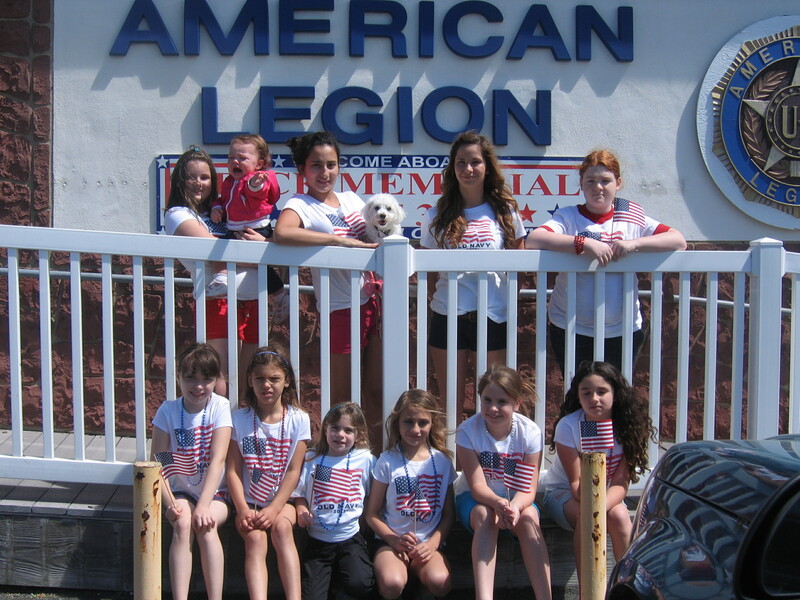 Junior Auxiliary Members of American Legion Unit 348 help the Pets of Vets. My posts for Memorial Day have centered on the role of military dogs. In the May of 2010, I wrote about Harris Done’s film The War Dogs of the Pacific, an excellent documentary about the role of the military dog during WWII. http://wardogsmovie.com/about.html Last year, I reran that post as I think it is such a poignant and meaningful film. Sometimes you can catch it on the History Channel or the Military Channel. I have written over 150 posts now and I’ve come to believe that although I am writing about dogs, I am really writing more about humans. Fittingly, that is what Captain Will Judy, the man who founded National Dog Week tried to impart to his fellow man when he established his National Dog Week Movement in the shadow of the Great Depression. Back in the 20s through the 60s, before blogs, YouTube, Twitter, Facebook, Judy reached out to a vast army of dog lovers through his books and Dog World Magazine with the message that humans did not know what the dog was truly capable of. Before the United States even had an organized military dog force, Judy was speaking about their value on the battle field and our obligation to care for them on and off the field. By the observance of National Dog Week 1945, the war had ended, but the contributions of the dog were not forgotten. “Dog to Have His Day Here Marks National Week,” declared the Milwaukee Journal. That year’s observance paid tribute to the members of the K-9 Corps throughout the world with the slogan, “In War, In Peace, Man’s Best Friend,” with Robert L. Ripley of Believe it or Not notoriety serving as the Chairman of the observance. Patriotic war veteran Will Judy was among those who truly understood the ultimate sacrifices dogs had made for the nation. Finally, after over two decades of hard work, his notion to help the dogs of the nation brought to light his quest to honor the dogs of war, in addition to ensuring that every dog had a good home and a responsible and caring owner. When we talk of dogs and their involvement in the military, we may speak of the dogs that are actually trained for combat, dogs that are in need of placement after their service is complete and dogs that are trained and certified as Service and Therapy dogs to assist veterans of war.Here is a book that I am planning to read this summer on that subject, written by Jane Miller http://www.healing-companions.com/ . Members of our Armed Forces who spend time away from home serving in active military duty must find loving and caring temporary homes for the pets they leave behind. Knowing that their beloved Companion Animals are being properly cared for and will be reunited with them upon their return provides a measure of comfort. A portion of donations will go to help Seer Farms, a unique animal sanctuary in Jackson, NJ that provides temporary homes for displaced pets. 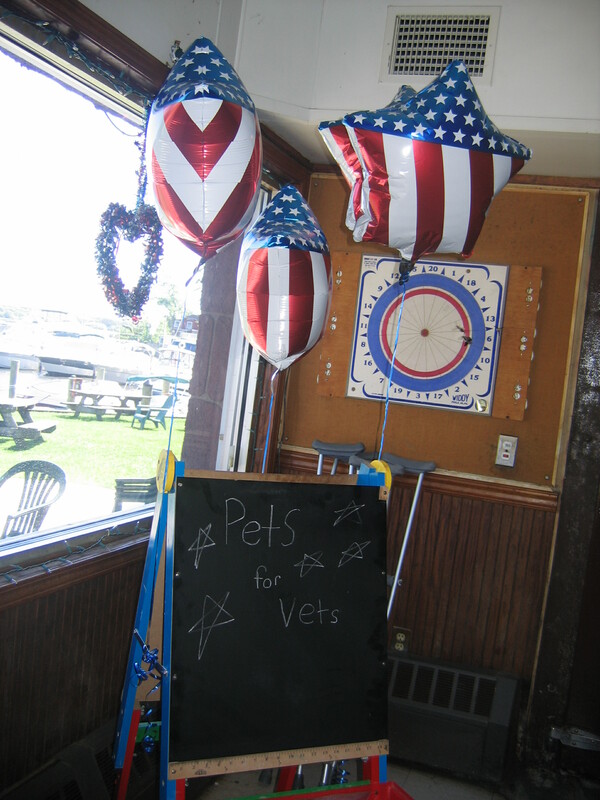 Those who wish to participate in this meaningful cause can drop off pet supplies and food at a drop box at The American Legion Post, 822 Mantoloking Road, Brick Township, New Jersey, 08723. Monetary donations can also be mailed to this address, made payable to AMERICAN LEGION 348 JUNIORS. Please mark envelope ATTENTION: JUNIORS. I wish you all a safe and meaningful holiday weekend. God Bless.